Color Block is super fun, modern and most importantly colorfull! 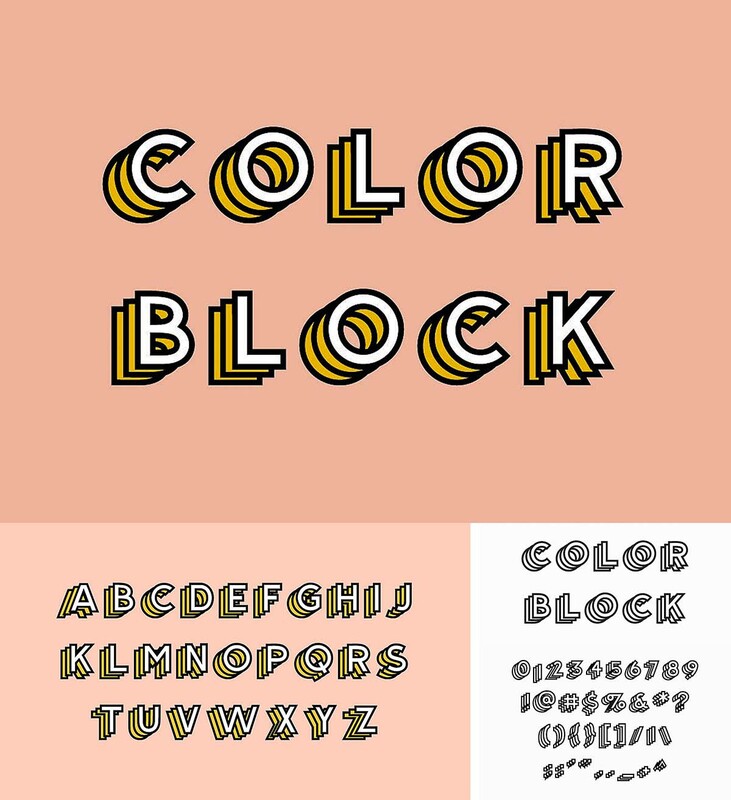 This jazzy display font is sure to give life to all sorts of projects! File format: .ai, .eps, .otf for Photoshop or other software. 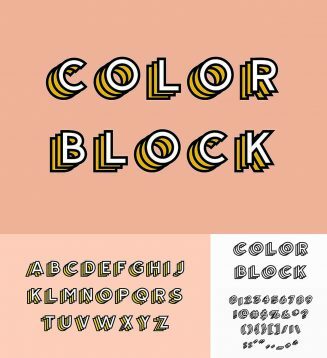 Tags: block font, color, cool font, display font, outline font, trendy.